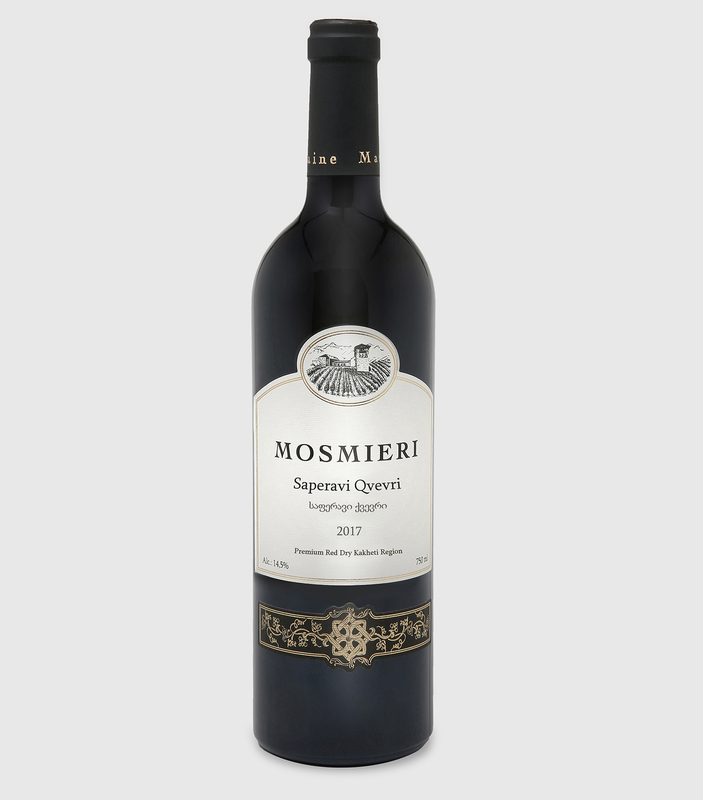 Mosmieri SAPERAVI QVEVRI is a red dry wine made from autochthonous Saperavi grapes. Hand-harvested grapes are crushed, macerated and fermented on the skins and seeds in qvevri for few months according to the Kakhetian method of winemaking. SAPERAVI QVEVRI, this intense dark garnet-colored wine has a balanced and harmonious bouquet of ripe cherries, plums with long-lasting aftertaste. This is a full-bodied wine with expressive tannins typical to qvevri wines. Matches well with red meat dishes.